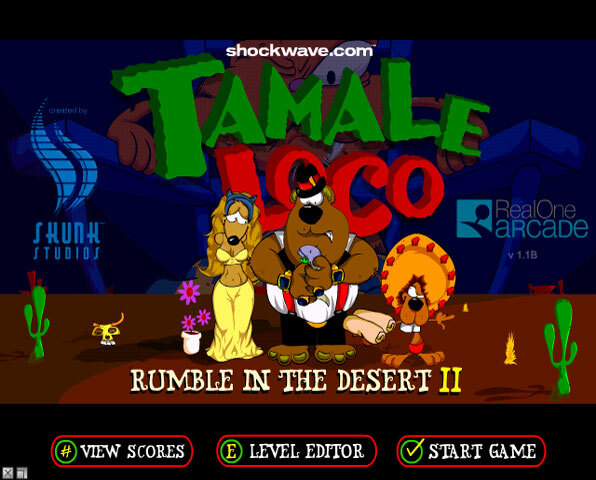 It's time for a hilarious side scrolling adventure, south of the border style! You're out to woo the beautiful Esmerelda, but you'll need to build some burritos for her Dad first. Gather up the fiesta fixins as you avoid the bumbling cat Phang and his bad guy phriends. Fast, fun, and funny, Tamale Loco es muy caliente!